Today we’re all about how to start a blog and make money online. Or you need to be the next Mark Zuckerberg with the next world-changing idea. Of course that elusive automatic cash generator doesn’t exist and the truth is most of us will not be internet billionaires. While there are lots of ways to earn a full-time income internet income, there’s a growing tribe of online entrepreneurs out there who are quietly starting blogs and making money online. But right now, our focus is not so much on the ‘how to‘ of make money blogging, but rather, the ‘why‘ you would start in the first place. As we rapidly leave the old industrial age behind to chase the bright and wonderful information age, more and more people are waking up to the fact that job security is a thing of the past. Go back a generation or two and chances are you’d be working at the same job right after leaving school until retirement. Today with the number of companies going bankrupt and more and mere businesses using contractual temporary workers it’s not such a smart idea to bet all your money on one horse. Learning how to make money blogging, or any other online business model for that matter is now a much safer bet. If you can learn how to become an affiliate blogger and master the skills of online marketing and promotion, building a strong customer base in any given niche, you can work anywhere anytime and repeat this process as many times as you like. I don’t know about you but that seems a whole safer than investing all your years into a company that could fire you tomorrow. Here’s more reasons make money blogging is safer than the 9-5 grind. People enter the job market full of optimism and high hopes… only to find themselves working through monotonous tasks they don’t care about in the least just to get through til the end of the month. Why would you not immediately trade this in to build a web business based around something you’re really passionate about? For me it’s a no-brainer. Trust me I’ve been there: I used to work 11 hour shifts chained to my headset in call centres arranging loft and cavity wall insulation installations and having to listen to people complaining when the guys didn’t show up. Do this for too long and something dies on the inside of you… not a good place to be in. I wish I could talk to you face to face and implore you to let go of your false sense of job security and trade that in for the awesome opportunity of becoming a confident, self-made online business owner. Making money blogging online means you’re passionate and believe in what you do and you’re changing people’s lives with your online platform. Who wouldn’t want that? With a blogging business you can reach a global and growing customer base all looking for what you’re offering. Even if you own a traditional style business you can use blogging as a way to open this up to scale. If you offer a particular type of service; speaking, writing, consulting, coaching… rather than limiting the potential client base to your local area, use your online business to expand your reach exponentially. Do you have any idea how much money it takes just to open up a local shop? Think about it: you’ve got rent to pay (don’t forget the first month’s deposit), electric and other rates, upfront costs for stock, salaries to pay for your staff, storage costs… I could go on and on. In sharp contrast, the cost of starting an online blogging business is less than $400 a year. Pretty much all you need is a domain, web hosting and some good affiliate marketing training. At places like WealthyAffiliate.com you can get start and run your online business blogs for just $49 per month. Sure, there’s certain things you might want to outsource further down the line once you’ve built a regular income, but as you’re starting out, the cost is next to nothing. Learning how to start and build successful and profitable blogs has totally changed my life. 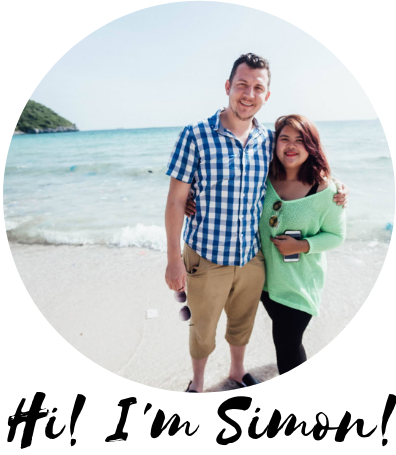 The reason I could quit that horrid call centre job and make the move from the UK to south east Asia is because the income I earn from my blogs have transferred me from the financially dependent on someone else box to the finanically independent. Now I travel more, volunteer for causes I believe in and only think about what’s important to me, all as a direct result of the money I make from my blogs. This brings me nicely onto the 6th reason to start a blog and make money online: the amount of money you can earn with an online money making blog is wide-open. If you’re an employee that gets paid according to the number of hours you put – the amount of money you can make has a limit. It doesn’t matter how hard you work, you only have a set number of hours in a day. With blogging, you put the work in once and get paid time and time again. You write a blog post, it’s gets read thousands of times even years down the line. You put the effort and time into building an online business builder course once, like the free 10 day Getting Started Business Builder email course I made here, and it creates revenue you for you around the clock. Okay, for me this is the most rewarding aspects of becoming a full-time blogger and where making money online by blogging really shines. Here’s the thing: through blogging you can make a difference to people’s lives. Let’s say you start a blog about going from a processed food diet to a healthier diet. You’re helping people make radical life changes. What you write about will improve the quality of life for many families. Or let’s take another example and say you’re starting a fashion blog to help curvy women become more confident. You’re helping people to improve their self-image and feel better about themselves when they wake up in the morning and leave the front door. Look at my very own Make Money Online Blog as another example – here I’m all about helping people avoid the internet scams and silly survey nonsense and teaching people how to become successful entrepreneurs and build revenue generating businesses online. These are all life-changing things your readers will thank you for. At Wealthy Affiliate they say that the more helpful and useful your blog is and the more people you can help, the money you will make. It’s a complete win-win on all sides. So why should you learn how to start a blog and make money online in 2019? How does it ever get better than that? Seriously? So what you waiting for? There’s never been a better time to start! Write your email below to get started on my free 10 day online business builder email course and let’s start your money making blog together! I’d love to draw on the collective brilliance of The Make Money Online Blog readers here and ask what have I missed? What’s your biggest reason for starting a blog and making money online in 2017? Please share your comments below. Great post, thank you so much for it, I will have to look into a few of your suggestions. I am relatively new to the whole blogging/making money online world, I’ve mainly just been focussing on building my email list. This has really motivated me to start building up my blog audience. I would love to start a blog and make money with it and you’ve given some great motivation here. I have been hesitant to start a blog because I worry about the technical side of it but I think I just need to get over my fear and just start. We all have to start somewhere and yes, if you’re starting a blog for the first time then you’ll have to learn a few thing but you’ll never get anywhere if you just dream about starting ‘one day’ that never comes. My honest advice for you would be to check out my Wealthy Affiliate review. Wealthy Affiliate is a hosting and beginner-friendly website builder with training specifically designed for newbies just starting out. They also have a very active online community of online entrepreneurs who will offer help and support every step of the way. Great article. It goes straight to the point. It’s so true that a great number of people out there still think their job is safe and that it’s impossible for them to lose it. They really don’t realize the risk they’re running by investing all of their time and energy into learning skills necessary to work in that specific company and that might suddenly become useless when the company decides to fire them or it goes belly up. Even worse, there are a lot of situations in which “being good at your job” is not even enough to get a raise or a promotion because many times your boss chooses based on personal sympathy or even worse friendship/family connection. To start an online blog and learn online marketing skills is probably one of the best favors you can do to yourself. This is a great point, thanks for sharing. Many people don’t think about the need for diversifying your income until it’s too late. Another huge benefit to blogging is the fact you don’t have to ask your boss for a couple of week’s holidays a year or ask for permission to go to the bathroom! Good list. There are certainly plenty of reasons to start a blog. As you say, job security is a thing of the past. If you can make some money writing about something that you’re genuinely interested in that’s great – even if it’s just a little extra on the side. And blogging platforms, such as WordPress for example, are incredibly easy to use and dirt cheap. You can even start off with a free blog and upgrade to your own domain and hosting later once you’ve tested the water. Oh for sure Jim, these are the 7 biggest reasons I could think of but really there are so many and I think more and more people are waking up to that. Absolutely, even though I recommend starting a blog on your own domain, it’s possible to start a blog for free and upgrade to your own domain once your blog has started to make money. Thanks for sharing! That’s the internet for ya! You write a post or upload a video and it still gets views, likes and shares years down the line. Remember that 3 hours of overtime you put in? You got paid alreayd and you’ll never get paid for it again.